Did The BBC’s Les Misérables Stand Up To The Musical? After the controversy of writer Andrew Davies' comments, did the show stand up to the long running musical? 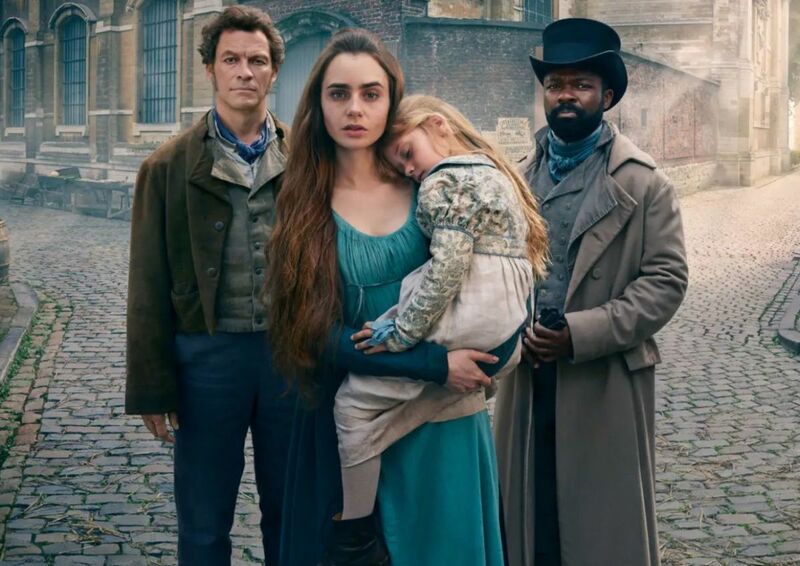 The new Les Misérables series on the BBC has just come to an end, and I personally think it was a pretty good one. I really enjoyed the whole thing, and I am saying that as someone who really, really (really) loves the musical. There was a bit of controversy at the start of the press tour for the show, because writer Andrew Davies – he of Pride and Prejudice, and War and Peace – made a big deal of the fact that his show was ‘not the musical’. He even went so far as to call the musical ‘insipid’, which I think is a bit much – Les Misérables the musical has been running for over 30 years now, and people love it for a reason. Many people who have been involved in the musical over the years got a bit upset about this, and the BBC latched onto it. Every single piece of marketing was reminding people that their flagship winter show was ‘not the musical’. Now, Andrew Davies is known for being a bit controversial so I take what he said with a pinch of salt, and it didn’t stop me enjoying the show. I did think it would be fun though, now the series has ended, to put the two side by side, and see how the TV show stood up to the longest running musical of all time. A lot of what the TV show did well is to do with the format, of course. At just over six hours of runtime, of course they had the luxury of telling more of the story. And it is a long story – the novel is around 1500 pages, with lots of interesting and random digressions, such as a meandering look at the history of the Parisian sewer system (Victor Hugo had a lot of…niche interests). The runtime meant that we could spend a lot more time with some characters. We follow Marius’ dad, a character completely removed from the musical, and because of that we get more of a feeling about why Marius cuts bad guy Thénardier so much slack. We get way more attached to Fantine (a brilliant Lily Collins), who has an entire section of the book named after her but doesn’t get much stage time in the musical. There was time for the scene where urchin Gavroche teaches two little boys on the street how to fend for themselves. If you’re a person who had seen the musical but hadn’t read the book, I think that this adaptation was very successful at fleshing out the story. As well as telling the story pretty well, they also added in some things that were generally very interesting. I liked that Javert rose to a high rank in the Paris police, as I think that it really suited the driven and ambitious version of the character that David Oyelowo created so well. And (spoiler alert), it makes his literal fall from grace at the end even more poignant. He isn’t a lowly inspector with strong ideas about the villainy of criminals. He is a man with a rank that suggests his world views have been legitimised throughout his career. No wonder, then, that he can’t reconcile his new knowledge of Valjean with the things that he believes to be true. They also made Valjean a more prickly character than the musical allows him to be. I didn’t think it was a better interpretation, but I did like it. The show gave him space to grow more slowly, from the raging convict at the start to the man who has fought hard to be a better person, and learns that he must let his daughter go. By necessity the musical has to shorten this evolution, so I enjoyed seeing it take longer for a very good Dominic West to become the Valjean that we all know and love. That being said, there were things that the TV show fell down on a bit. Actually, any non-musical adaptation of Les Mis falls down on these things. (Because yes, although Andrew Davies would prefer you to think otherwise, there have been plenty of very good non-musical versions before his came along. If you’re interested, the Japanese anime Shōjo Cosette is one of the best, for my money). Les Mis the book, as I mentioned, is absolutely massive. Almost unruly in how big it actually is, and I don’t think that we should forget how successful Alain Boublil and Claude-Michel Schonberg were in cutting it down to fit their well-under-three-hour runtime. The musical has its flaws, but it is also a near perfect distillation of the themes of the novel, with characterisation that is impressive in how deep it goes despite its brevity. ‘I Dreamed a Dream’ from a good stage Fantine is just as powerful when it comes to conveying her despair as half a dozen scenes of misery. Valjean’s soliloquy, when he decides he needs to reveal himself as an escaped convict in order to save a wrongly accused man from prison, is three minutes of perfection that is very hard to convey in any other medium than song. The fact that Javert’s soliloquy at the end of the musical is a reflection of Valjean’s is a story beat that will never be matched by spoken words. And that’s the other thing – sometimes, a song really helps to move the action along. It didn’t happen too often when I was watching the TV show, but there were times that the action was starting to drag just a little bit and I found myself humming some familiar tunes. The court scene was a prime example of this. It was way too long, and sorely in need of Valjean’s dramatic monologue and revelation of his prison tattoos. The students could have done with their song that lays out their motives and sets the audience up for the revolution that is to follow – as it was, the build up to the barricade fell a little bit flat. There are other comments that I could make about this TV show that are way more salty – such as the fact that they made such a big deal of not being the musical yet some of the shots looked practically copied and pasted from the 2012 movie. Or that Dominic West is the most Hugh Jackman-looking actor who isn’t Hugh Jackman out there – but I won’t say any more about that. That is an article for another day. Taking the show as it was, I think that it was enjoyable to watch, and a very fair treatment of the source material. It wasn’t superior to the musical, but I also don’t think that it was worse. If the BBC hadn’t made such a big deal out of it, we wouldn’t even need to make this comparison. I think that is the only thing that really annoys me about the approach that they took in marketing this show; people who don’t know the musical at all will now have an impression of the two things as being separate, when really they could be enjoying two great versions of the same story, and judging each of them on their own merits – as it should be. Lover of books and the theatre. Short Story and Book department editor. Mine's a soy mocha, if you're buying. For fear of a certain dragon-related series stealing all the thunder, here's some of the other shows coming out this April. With the first teaser trailer being dropped this weekend, what are some of our hopes for the BBC and HBO series? Season five of Luther is a non-stop adrenaline ride that refuses to let up for even a moment. Season 11 ends with a whimper. The Doctor deserves better.